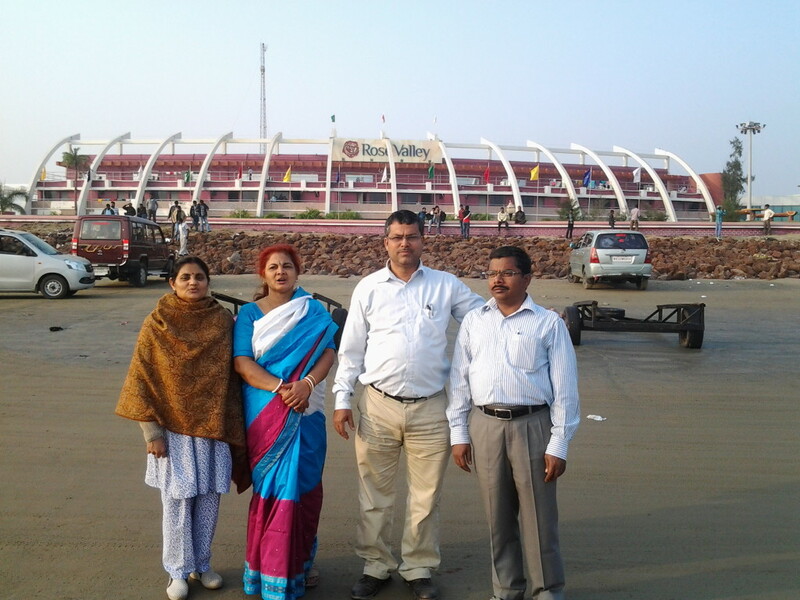 On the 1st of January, dad’s friend Subhas Pradhan and his wife invited us (me and my parents) over for an outing at Mandarmoni. 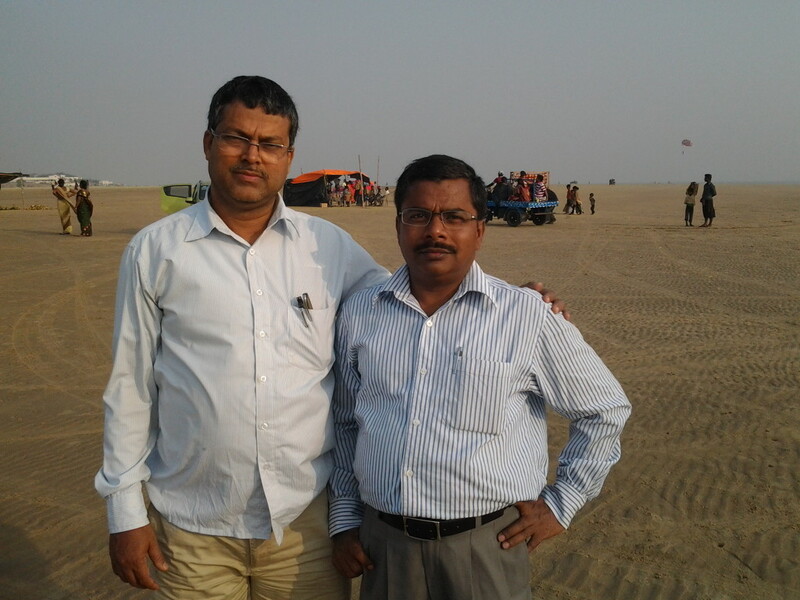 At 2 PM we leave Digha for Chaulkhola via bus. 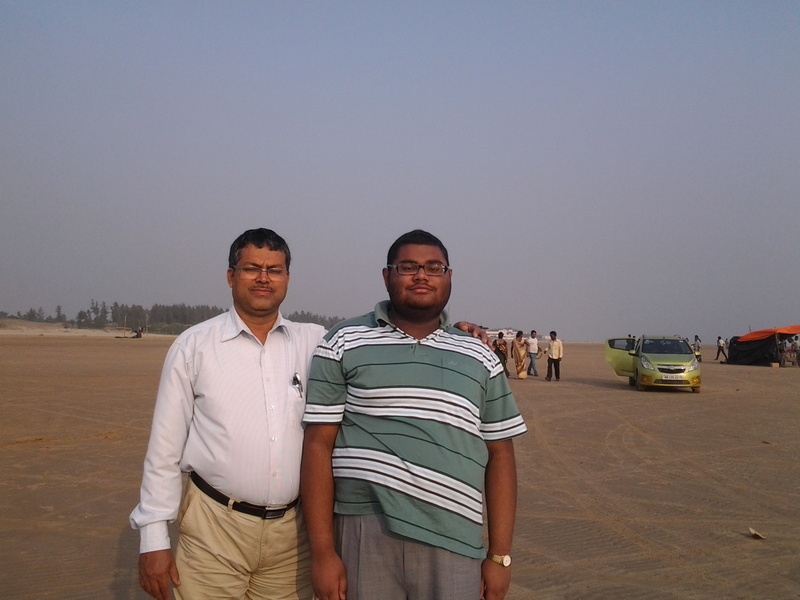 A few minutes later, the Pradhans arrive in their car and pick us up. Together all of us travel to the Mandarmoni beach and drive down the open shore. 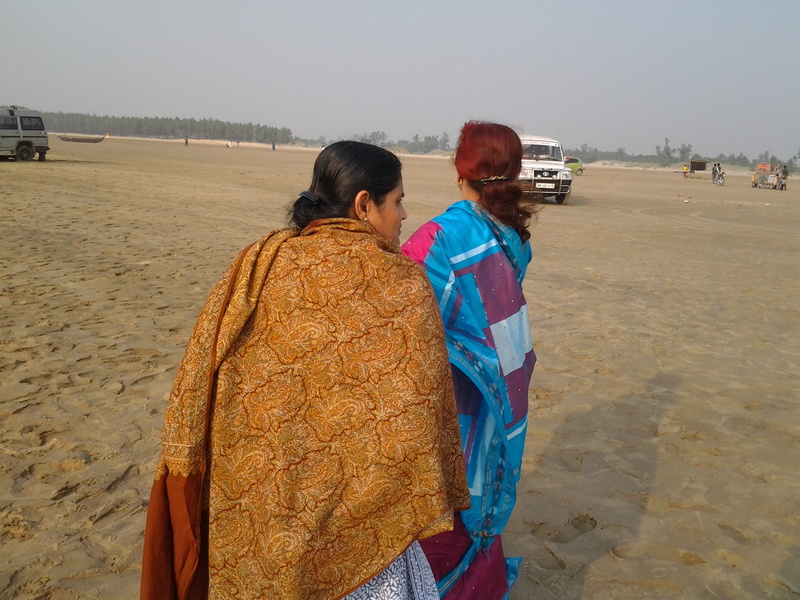 We roam the wide beach freely in the car. Being a very free area, I made my first advances to drive a car. After that, we move to one end of the beach to where a creek flows into the sea. A jeep was stuck in the sand and was sinking. However, no one was interested in dragging the jeep up because the jeep driver was in an altercation with the locals. 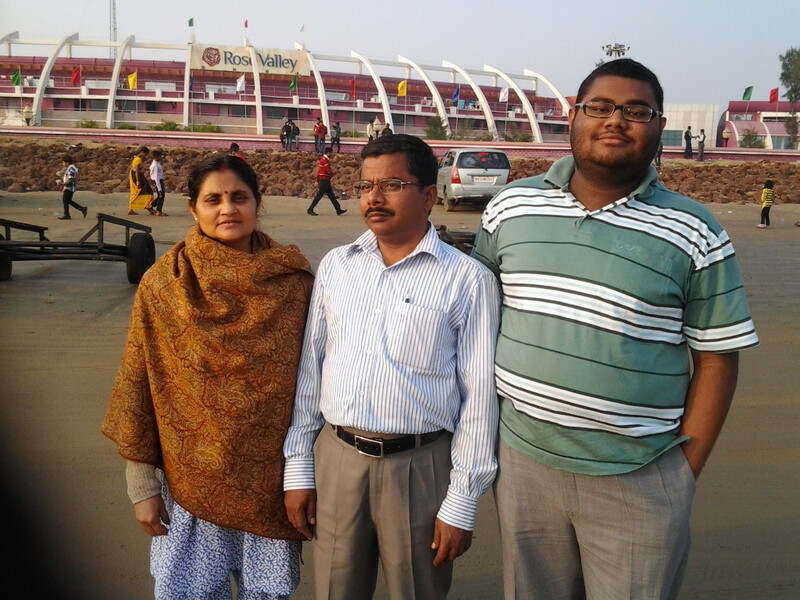 After observing them for sometime, we left. 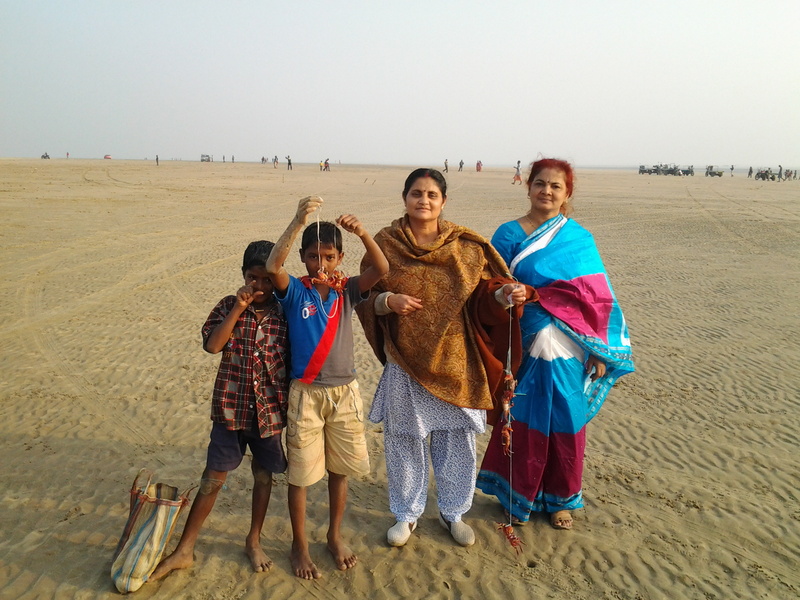 In the meanwhile mom and aunty (Mrs. Pradhan) are already collecting crabs to take home. The local kids are busy digging and tying crabs for them. 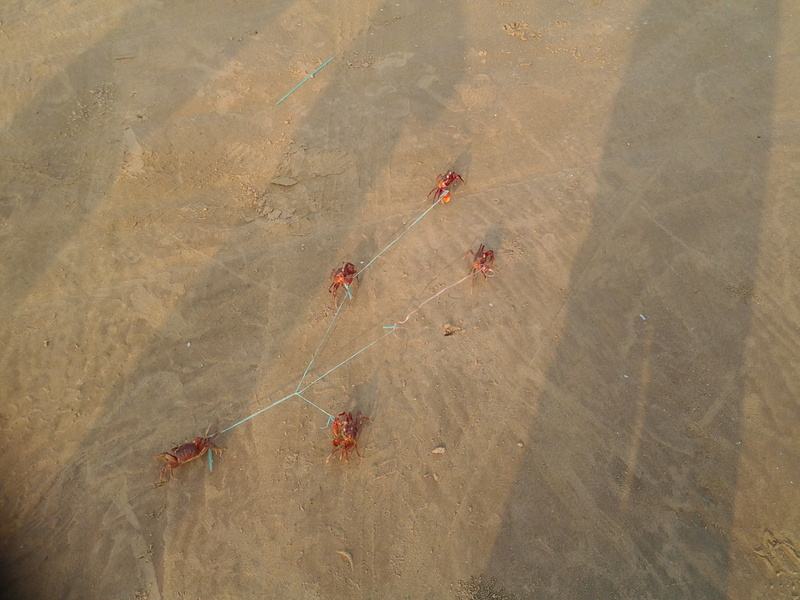 After collecting several crabs, they return. At this I argue that creatures should not be killed. After a long debate with them, mom and aunty decide to release them. We drove towards Rose Valley and shot a couple of pics. 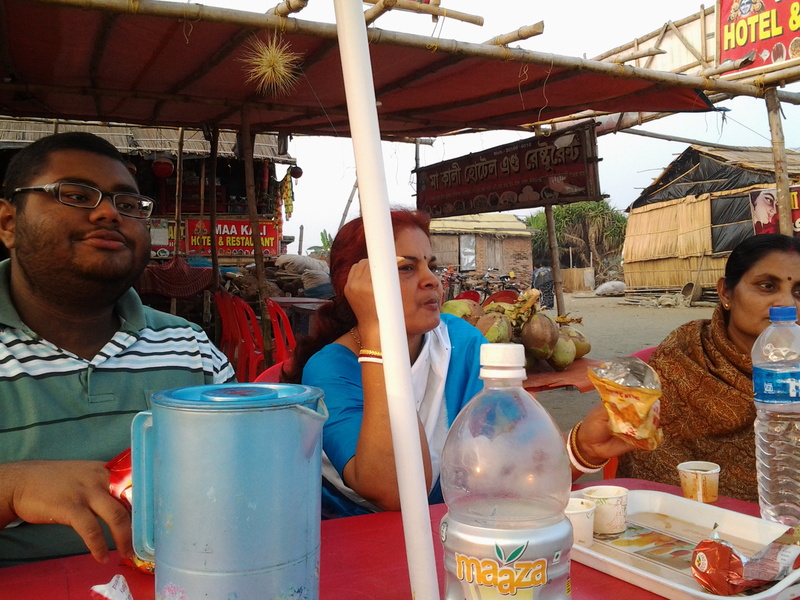 Then we sat down at a seaside restaurant and ordered tea and snacks. We sat and had long chats. 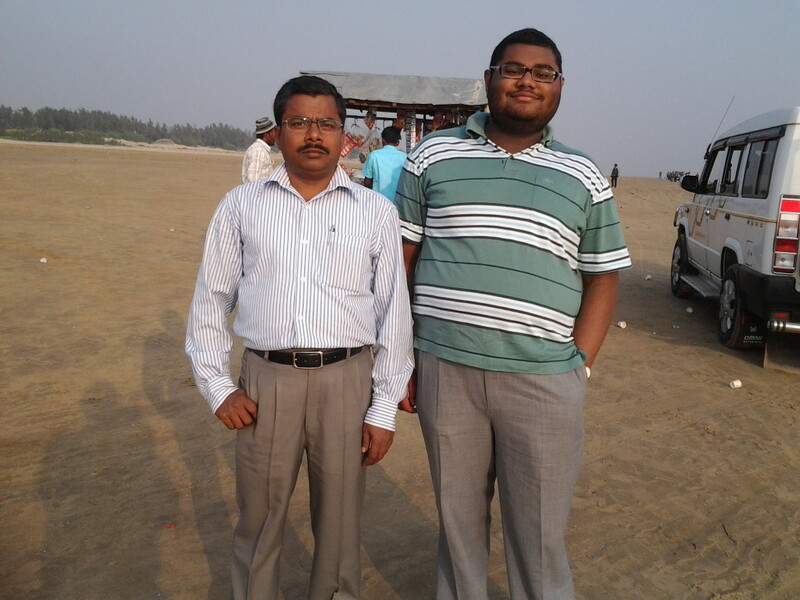 In the evening, we travelled to Digha and sat by the seaside and enjoyed the breeze.